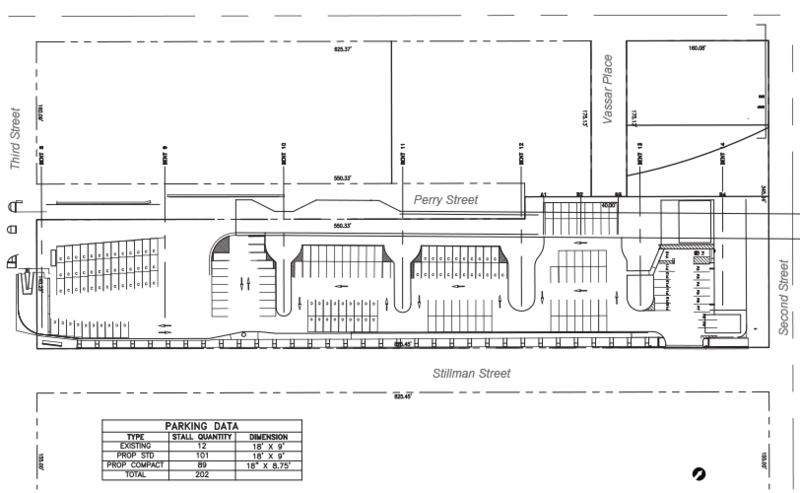 The 2004 FEIS/EIR-approved design includes a bus storage area for AC Transit’s exclusive use. The proposed AC Transit Bus Storage Facility Parking would expand the use of this facility to allow for off-hours/nighttime or special event parking when the facility is not being used by AC Transit, to help offset the projected shortfall of public parking in the area. The AC Transit bus storage facility would have two potential modes for off-hours parking: 202 valet-parked spaces or 167 self-parked spaces.